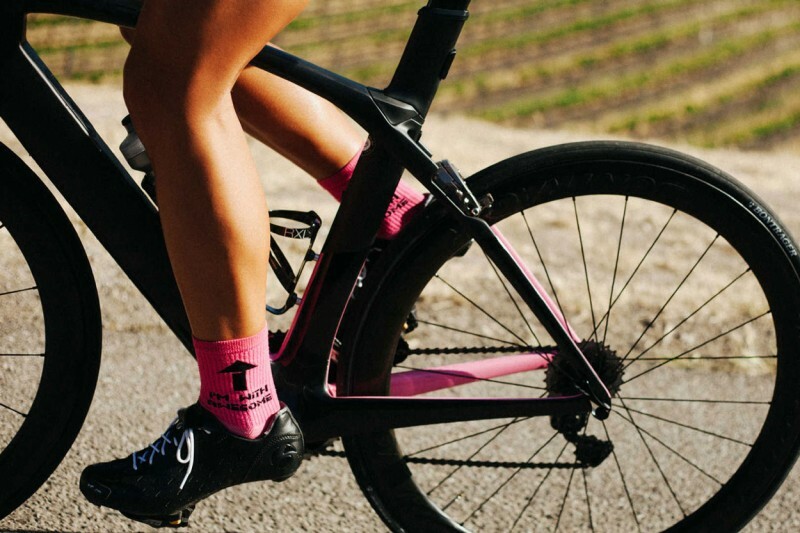 We recently wrote an article on the new Trek Madone Road Bike series and now that the Trek Madone 9.5 Women’s Road Bike model has gotten some road time by riders, it has turned out that the 9.5 is insanely fast — quicker, more balanced, more comfortable, and more incredible than anyone thought upon it’s release. We’re writing this article because of the news-worthy reviews of this women’s model, which is taking the roads by storm. This is exciting for women who want a geometrically correct bike that can fly like lightning. 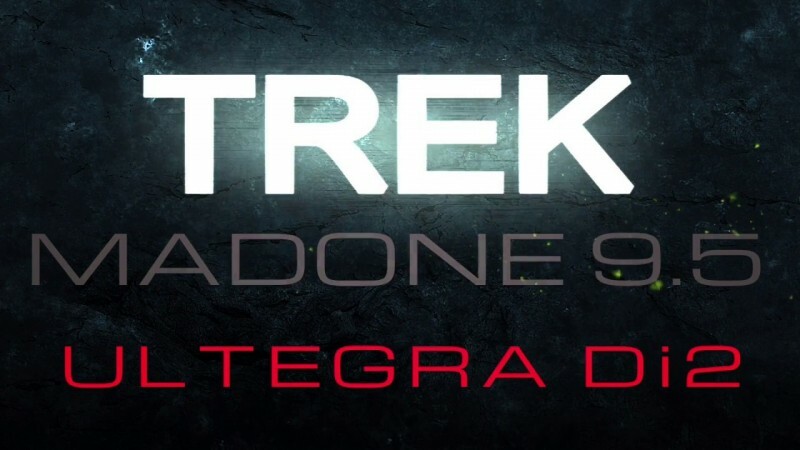 The Trek brand created the Madone 9-Series as an aero bike – and aero it is. In fact, Trek has stated that at an incredible 40 kph (25 mph), the women’s Madone 9.5 will save you 19 watts over that of a non-aero road bike (depending on a number of factors). It might be more meaningful here to know how riding the Madone 9.5 is and how different it is than riding an ultra-light, but still non-aero bike. This is because the number of watts saved depends on things like what you are wearing, whether you are drafting (it can go down to 14 watts saved in this case), how fast you are going, and your position on the bike. This is the great news — riding this bike is like “getting a rocket-start in Mario Kart, only all the time,” according to bicycling.com. That sounds pretty damn awesome to us. The Madone 9-Series has proven itself since its recent release as faster than riders had imagined it would be. This Trek makes your ride easier and yet you’re moving faster than if you put that same amount of effort into a lightweight, non-aero bike. 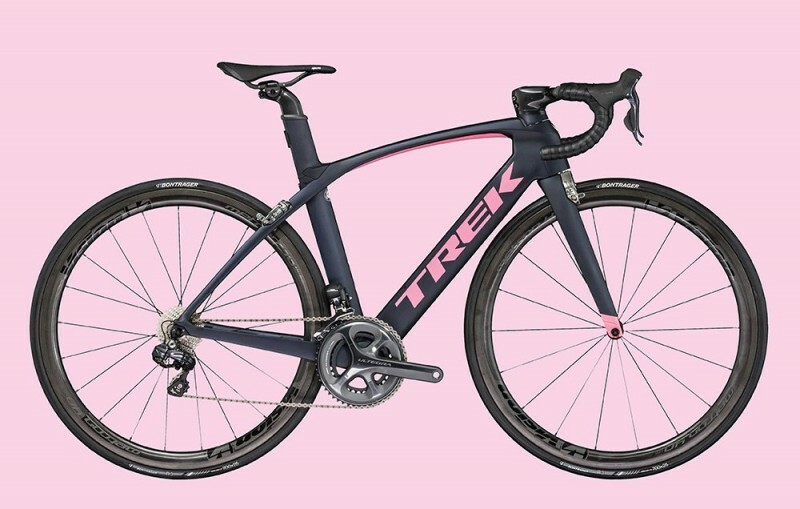 This means that the aero design, geometry, components, weight, and functionality of this women’s series by Trek was expertly crafted in a way that has taken the riders and even fans of Trek, by surprise. In fact, if you are a group rider going at a social pace, you might have to feather the brakes a little more than usual to avoid half-wheeling the person next to you. Even if you end up dropping behind a quarter mile to take a photo or sightsee, you can coast back up in about 15 seconds — the feeling of pedaling on the Madone 9.5 is like having a subtle and consistent turbo boost, even when speeding into a hill or after a small dip. 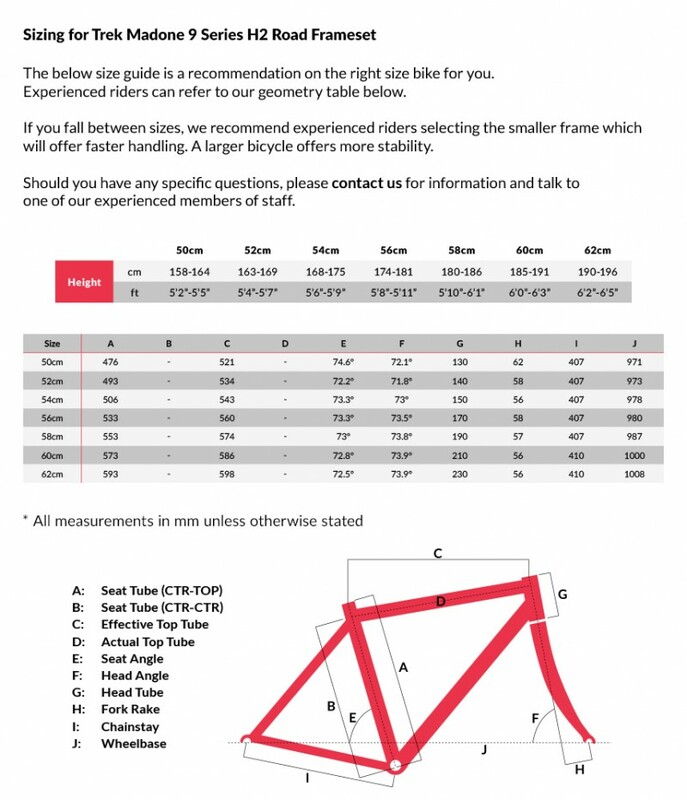 You can travel a few extra yards before running out of the momentum you would have on a non-aero. Simply put, this bike is spectacular and really offers something special when it comes to speed and putting forth less effort to obtain it. How did this model get such an extraordinary thumbs up from riders? Well, for one, the intensely engineered aerodynamic features can be thanked, but it’s more than that. Even if you take out the frame-specific integrated brakes and airfoil tube shape, there is much more that makes the Madone 9-Series go faster. 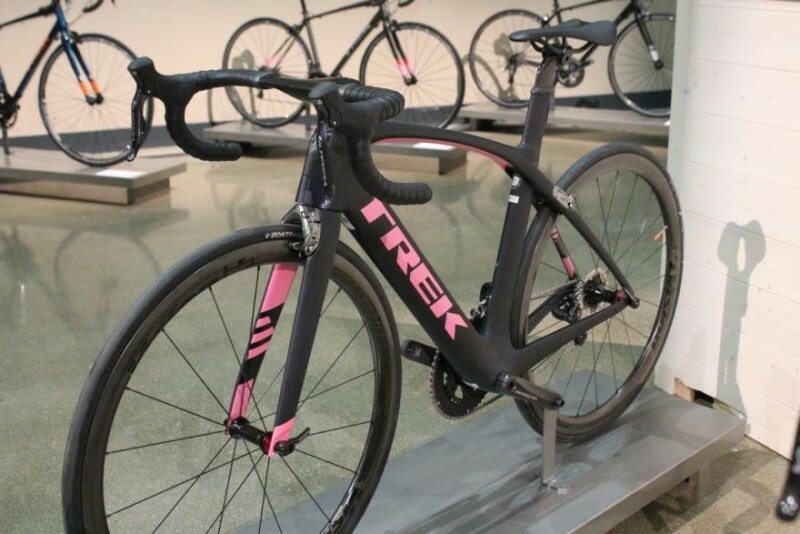 For one, the carbon frame of the ladies version is identical to the standard Trek Madone 9-Series in the H2 fit — it is shorter and more upright than the H1 frame that most pros ride. But it is just as effective in allowing you to create watts. When you’re hitting the ground running, the bike flies up the road — in springs, the Madone feels very unified from the one-piece bar and stem (narrower on the women’s bike and with a shorter stem), and there is no flopping through to the back end. Now, what’s really amazing is this bike’s ability to corner. The laser-cut turns are so precise and your tires feel securely stuck to the road. This is because of the Madone’s wider rims on the Vision Metron 40 wheels — this helps the 25mm tires to ride bigger for better traction and more control. This means that you can follow the curve of the road ahead without cutting off the apex of a 90-degree turn. This Trek steers easily from the hips, is super quick, has the stability and ground sticking you desire, and will provide you with that perfect feeling of balance. 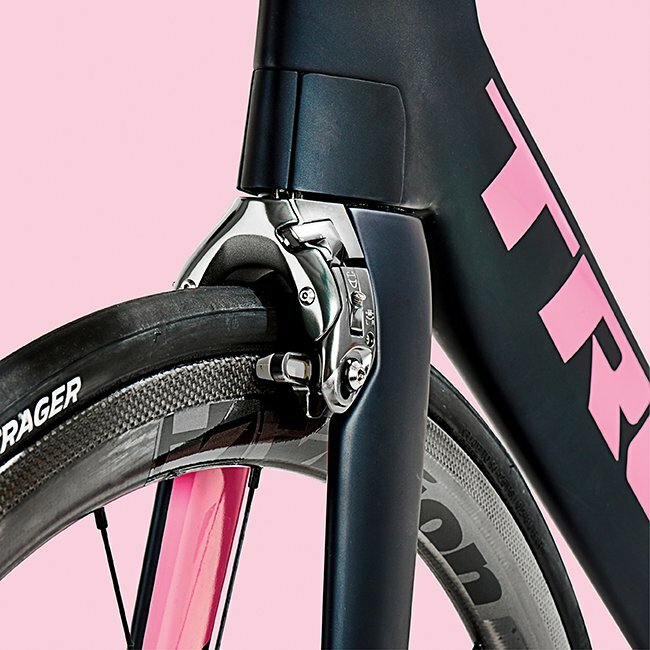 The Trek Madone 9.5 Women’s model feature the IsoSpeed decoupler tech, which allows the internal seatpost to flex inside of the airfoil-shaped seat tube. 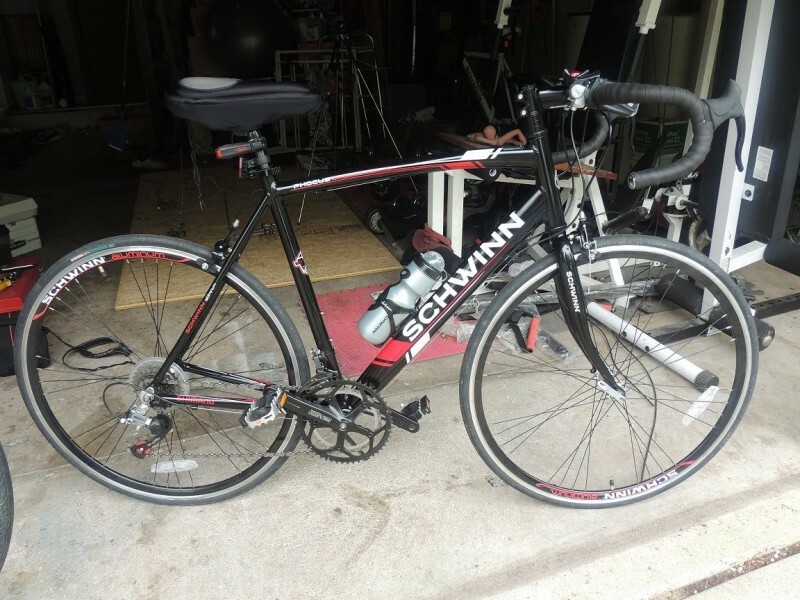 This makes the bike smoother and more like the non-aero race bikes (the Specialized Tarmac, for example). The only real difference you will feel compared to the more top-end Madone 9.9, is that the 9.5 feels just a little harsher on choppy surface. Otherwise, this Madone rides so smooth and can be used for longer, endurance rides. With its Ultegra Di2 group, it will also make sure that you don’t waste your pedal strokes; with the comfortable seat, excellent geometry, carbon frame, and other components that are frame-specific, this Women’s Trek Madone 9.5 is a perfect ride — most riders who purchase this bike, aren’t even racing, either — all of these incredible aspects that have made this bike model far superior than others in its class are being enjoyed by endurance riders, social groups, and those wanting to have an edge on the roads in springs or friendly races. No matter what you do with this bike, though, one thing is clear — with the Madone 9.5 women’s, you will get your money’s worth out of this bike. 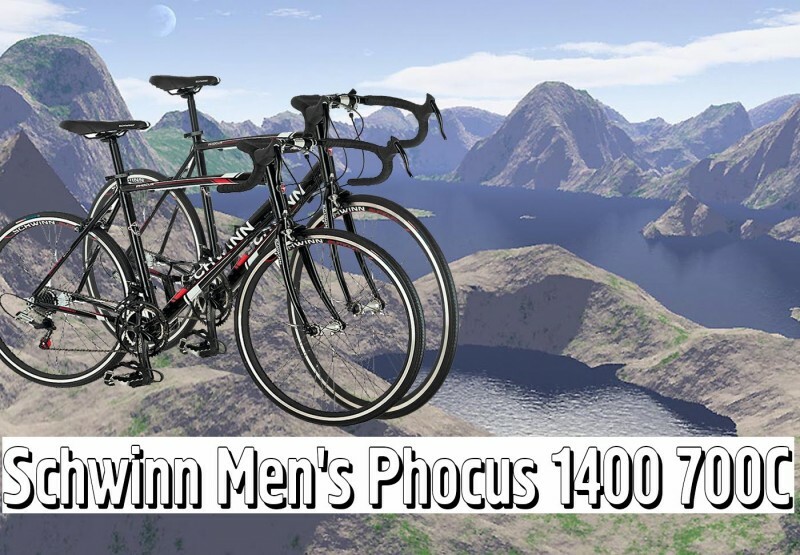 Weighing 16.6 lbs (52cm size) and priced at around $8,000, it may be a bit pricey, but the insanely positive reviews are exciting enough to give this Trek a try.